The truth is that I haven’t run in over a month. It started after my last half marathon. I decided to take a break from running for a month or two and do a non-impact type of exercise. I recommend this approach for a variety of reasons. It’s nice to give your body a rest and recover from the impact of running. Your mind also benefits from a change of pace. So I had a month long fling…with yoga. I fell hard. My muscles responded to this new way of moving. 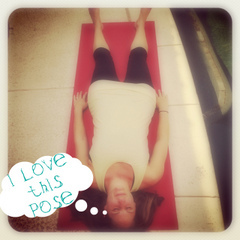 I anxiously awaited the end of each class when we would do my favorite pose – lying on the floor (aka relaxation pose)! Doing yoga made me feel strong and centered. It also gave me a rare moment of relaxation. I have trouble doing that! Like all affairs though, this one ended really badly. I pushed myself (shocking, I know) to do things I shouldn’t have. There was no clear memory of a tear, pop, or specific moment of injury. One day I just woke up, and I knew it was over. I was in terrible pain. I couldn’t walk. I couldn’t sit. Something was horribly wrong. The doctor told me to stop all exercise. I was shot up with cortisone and ordered to do physical therapy and stay off my leg otherwise. I intend to cooperate. So it looks like my yoga affair had some major repercussions on my relationship with running. I will not be taking up yoga again in the future (except for the relaxation pose). Don’t let that stop you, though. Learn from my mistakes. Take breaks between athletic endeavors and races, preferably with no or low-impact exercises (yoga, swimming, cycling, etc.). Just remember, it is possible to hurt yourself doing just about anything, even yoga. So, be really careful not to push yourself too far when doing any exercise, especially new types of exercise! Have you ever cheated on running? If so, what did you do and how did it work out? Leave a comment below and tell us. 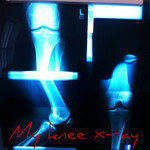 I’ve cheated on running a good many times, particularly during a running-aggravated injury. It turned out great with spin (which my PT suggested would be a good way to build strength w/o impact), not so great with yoga unless I stick to restorative/Iyengar. But Pilates for the win! Happy healing. Sorry to hear you are ailing and look forward to reading about your recovery! I’m glad I’m not the only one! I’m definitely planning on trying cycling for my breaks/cross training next time around…or perhaps Pilates, per your recommendation! Thanks for the well wishes. In the meantime, keep us posted on your running! Leave a Reply to Kristy Click here to cancel reply.